Accidentally slipping passed the Elite Praetorian Guards, these images popped upon Amazon.it earlier today. The play set - though more of a vignette really - depicts the forested landscape that saw Rey duelling Kylo Ren on Starkiller Base. The set is composed of two snow-covered sections of Starkiller Base that hinge apart to depict the cataclysmic forces ripping the First Order base asunder. 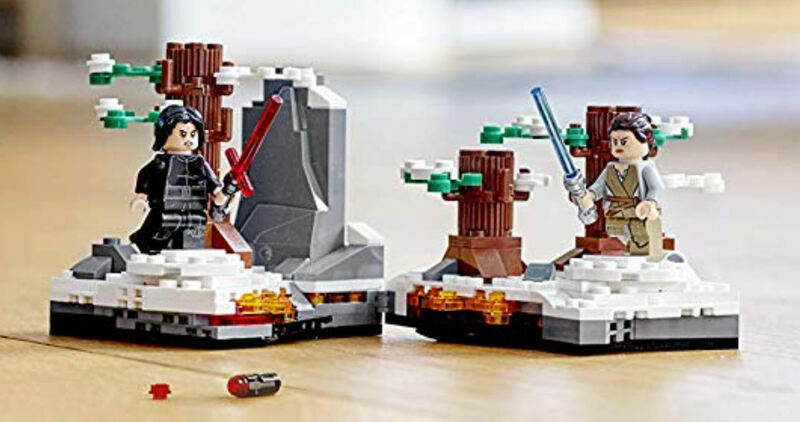 Each part is appropriately adorned with trees and rocks, comes with a Rey and Kylo Ren minifigures and has action features which include rotating bases and a falling tree. 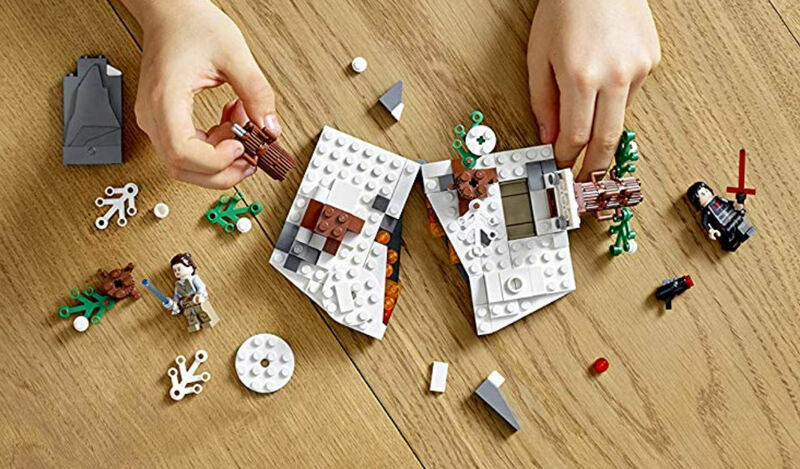 There's little information available on this set of 191 pieces, but we do know it will be priced US$19.99/€19.99 and is expected to be available at general retail from April 1st.